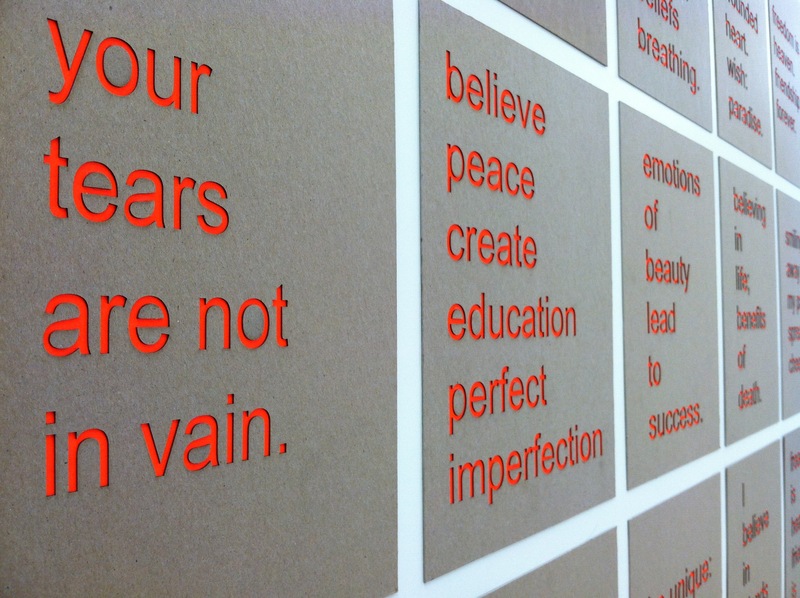 In collaboration with the English department, our Studio H students read famous manifestos and wrote their own with a very tight constraint: 6 words only. 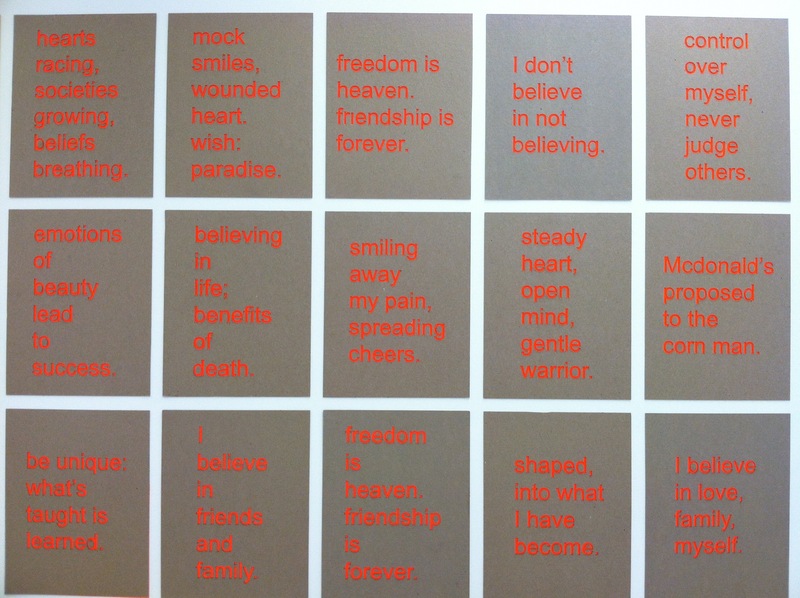 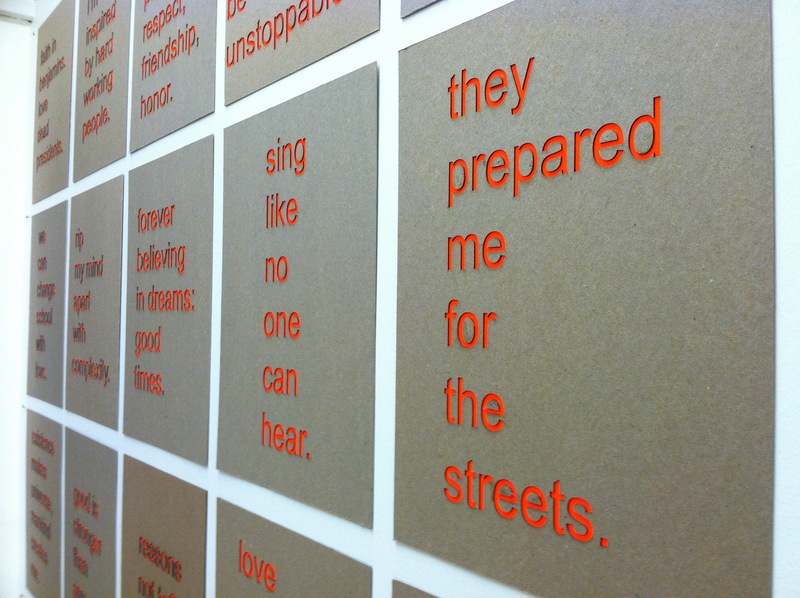 They then learned Adobe Illustrator and laser-etched their manifestos in chipboard, set onto fluorescent cardstock. 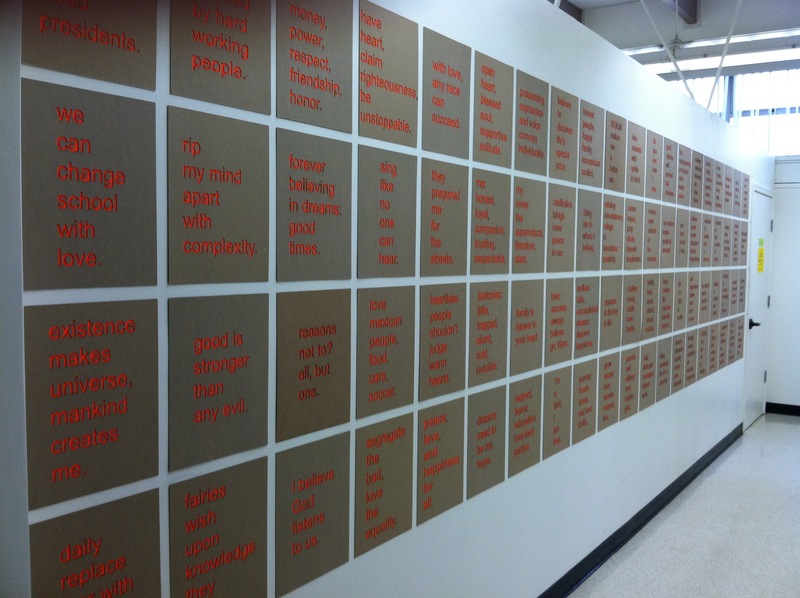 The entire 10th grade class posted their collection of manifestos in the main hallway of the high school facility.